The folks over at mindflash developed this infographic about how and where the brain stores it’s information. 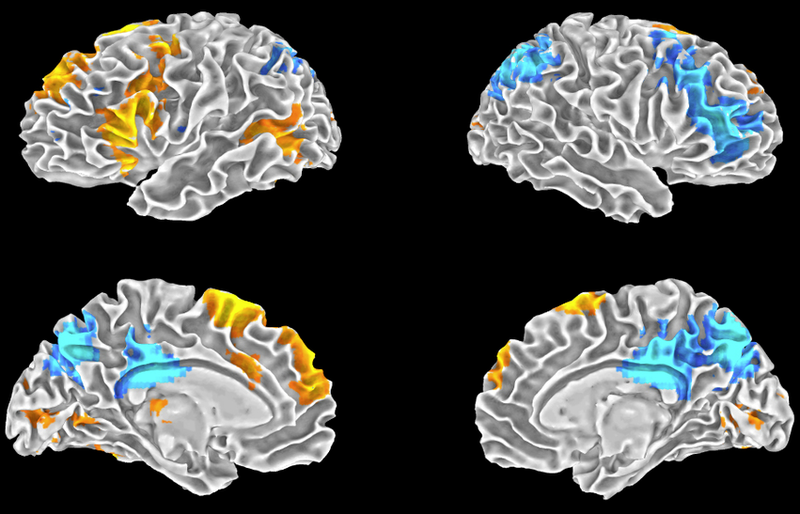 While much of the brain’s information storage system remains a mystery, it is important to remember (see what we did there?) that memory is varied, nuanced, and often associative. Working memory is different than short or long term memory and what students take away from an experience or recall about it later, cannot be dictated by anyone else. They construct knowledge and memory themselves. It is why, as educators, we must be conscientious of providing environments and experiences that are meaningful, relevant, and engaging to them. 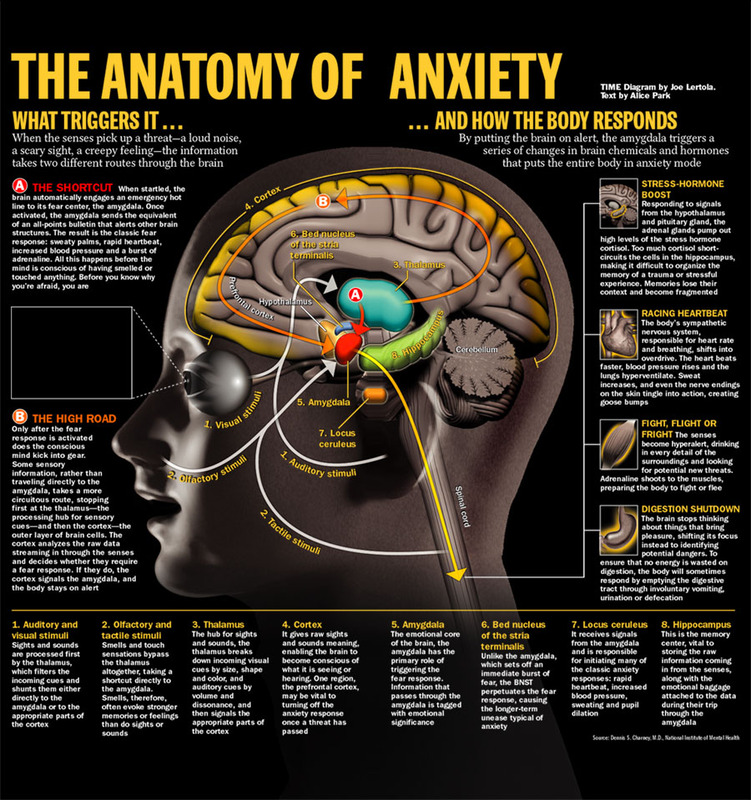 Below is an image from a Time Magazine article on the “Anatomy of Anxiety” from a few years ago. While the article is a bit dated, the relevance remains, especially for educators. Students need to feel relaxed, safe, and welcome in order to learn effectively. If we focus only on content and raise the stakes of assessments, we increase some students’ anxiety and make it more difficult for them to learn. A reminder that our job in working with students begins, and is sustained, through relationship building and trust. The below TEDx Talk by surgeon, researcher, and musician Charles Limb, unpacks some of his emerging hypotheses about the brain during improv, and how those might translate into understanding creativity. Or at least one small slice of it. If he is correct, there are probably a broad range of implications for education. How might improv be used in the classroom to help students construct meaning, brainstorm, and build communication skills? What might educators do to help students develop skills at improv and can those skills help students as adults? You can view the original on the TED Talks website. 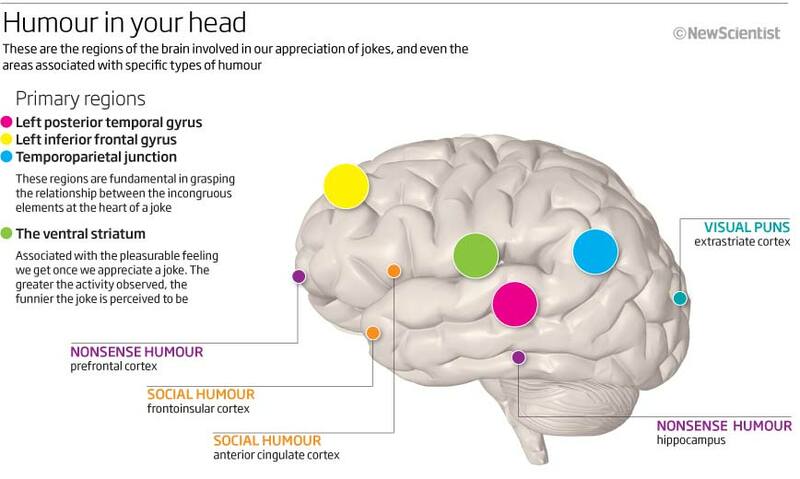 Want to know more about the brain on improv? As with most things, “gaming” (or being engaged in video games) has both positives and negatives when it comes to developing minds. Too much gaming, and the positive effects are overshadowed by the negative. Yet, the right balance can add another avenue for pursuing educational goals and achievement. As a result, more and more programs are using gaming to reach and teach students in ways they never could before. Therapy programs, schools, and even research scientists have all benefitted from the strategic use of games to increase successes. Below is an infographic from Online Universities looking at the brain on games. What do you think? How have you used games in your work with students? What might we need to be cautious of in incorporating gaming in our learning environments? Share your thoughts and any resources you find valuable in the comments.